Patti Smith is by far the queen of androgynous dressing - and always will be. She's one of the greatest musicians, poets and writers of our time. 'Just Kids', her memoir (and one of my favourite books), reveals how Patti's style developed and changed during her 20's and how she transformed and made an array of quirky outfits from charity shop and vintage finds. The two styles that stand out for the 1970's are predominantly boho and punk; Patti didn't slide into either category clothing-wise, she took inspiration from both and ran with her own look completely. I personally think she was undoubtably grunge, 15+ years prior to its existence. 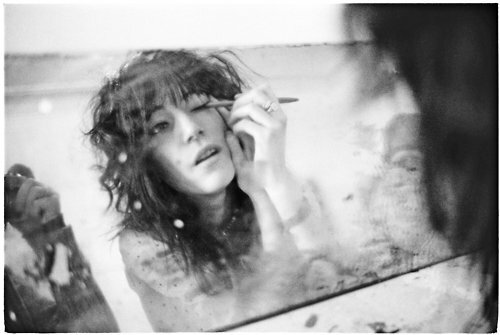 Patti Smith is a through-and-through tomboy and her style has always been something I can relate to. Her style in the 1970's in particular was groundbreaking and fresh, it set her apart from her "rivals" and ultimately it became her trademark. Her album cover for 'Horses' (pictured below on the left), shot by Robert Mapplethorpe, is her most iconic look; the white shirt, black ribbon and choppy bob have been replicated time and time again since its release in 1975. 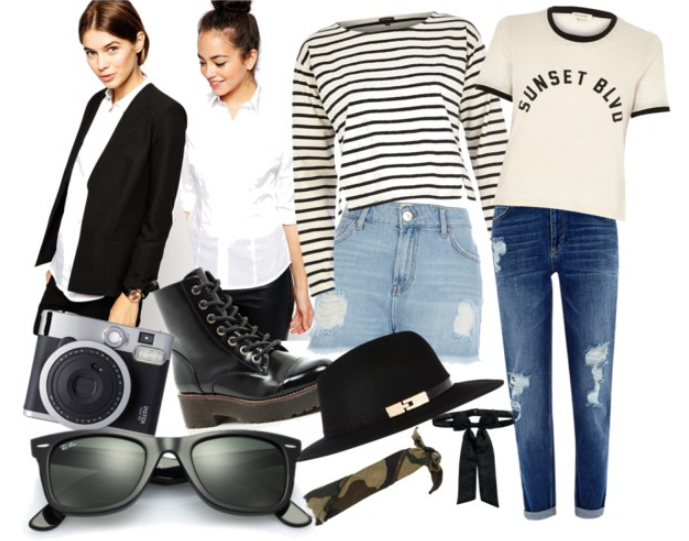 Between her shaggy hair, Wayfarers, boyfriend blazers and her love of denim and chunky boots, Patti's style is timeless and achievable for everyone. Even at the great age of 68, she still manages to dress like a total badass. The pieces below are fantastic for anyone who isn't the girliest of girls but still wants to look edgy and bang on trend - the 70's are huge for Spring/ Summer 2015 and Patti is an ideal person to draw inspiration from.